Ready to live with more confidence, courage and clarity? Ready to conquer self-doubt, that inner voice of insecurity and the perfectionism that is keeping you from living your best life? 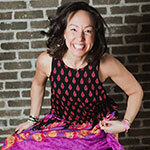 Ready to feel beautiful, powerful and to pursue your passions with purpose? You are ready to level up your life with Confidence Coaching. What is Confidence Coaching specifically? Confidence Coaching is a type of personal development support more strategically focused than general life coaching in which the client learns how to take full ownership of their gifts, their story and their future. Confidence Coaching is teaching the art of finding success in the face of failure, rising when you have fallen, looking at yourself with renewed enthusiasm and esteem and learning how to say not just “I can,” but “I will.” This niche-specific branch of life coaching was created and established by Trish Blackwell and Blackwell remains the leader in the industry, making her the perfect fit for anyone looking to take their confidence and courage to the next level. Is Confidence Coaching for me? Confidence Coaching is for anyone craving more inner peace, purpose and motivation. It is for go-getters who have a few hurdles holding them back from being their best self, who are determined to break free from whatever it is holding them back. It is for anyone who wants more confidence and courage to be their best, most authentic and happy self. All coaching clients who work with Trish receive customized coaching and unparalleled attention and support. Coaching sessions are done via video, either FaceTime or Skype, and are 55-minutes in length. They include “Action Thoughts / Action Items” that are emailed to you after the session to help you stay accountable to moving forward on whatever it is you are working on. Depending upon the personalized coaching program you choose, you can receive email and text support / access for in between your coaching sessions. Before beginning your coaching relationship, you and Trish will discuss your exact goals, your current challenges and your lifestyle so that your coaching results are maximized. Trish Blackwell offers three coaching packages, because she knows that sometimes you need a little bit of support, and sometimes you need a more structured program; that said, whatever your goal, Trish has a package or option for you. Sessions are charged via invoice at the beginning of the selected program. Payment plans are offered depending upon the length of the goal and the coaching plan selected. 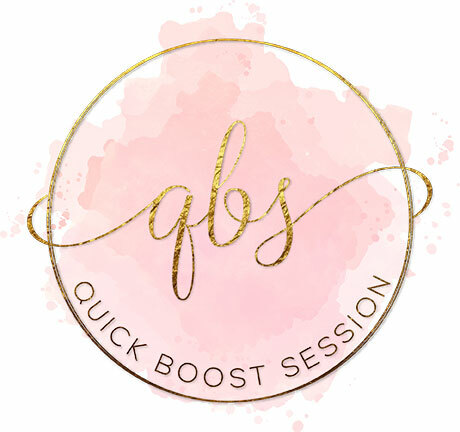 The “Quick Boost Session” allows you to do a “drop-in” coaching session, at anytime you want, without any further commitment than just one session. I rarely work with clients for just one session as I need longer than that to really understand you and help you achieve whatever it is you are aiming for. However, if you do want one session, I will do what I can to help in such a limited time. In the one-off session we can transform an area of your life where you are currently feeling stuck, unhappy or overwhelmed. Or, if you have a specific business goal or need an entrepreneurial strategy session, that could fall under the umbrella of an Quick Boost Session as well. 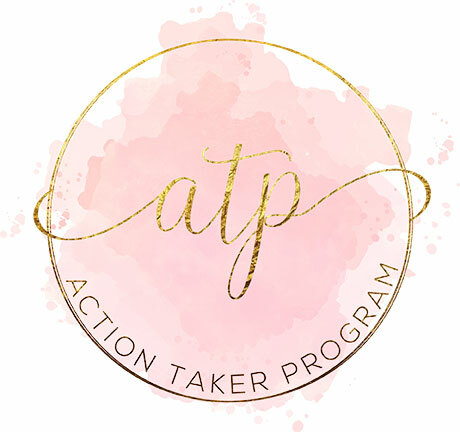 My Action Taker Program option is a short-term commitment designed for someone with one or two specific goals. This option is for you if you have already identified specifics behind the one or two things that are holding you back from living your happiest and healthiest life. Often people who choose this program are looking for support on getting “unstuck,” on improving their time management habits, on overcoming procrastination or perfectionism, or on managing and reducing stress. In this program you will have time to really work through taming your inner critic and through strategies on how to take more action more consistently. (In this program you meet weekly with Trish for a period of two months-four months. For your convenience, you can pay for the program monthly payments). 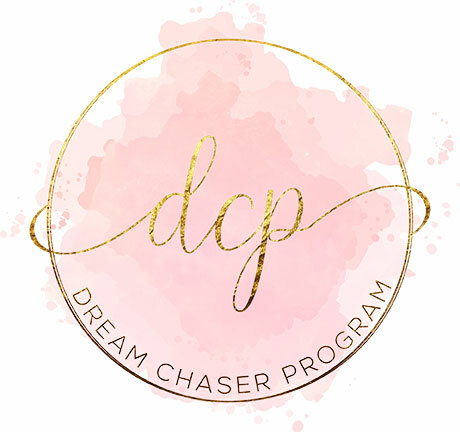 Dream Chaser Program is for the individual who wants to ensure they make deep, lasting lifestyle and mindset changes. This is my most popular coaching option, because it works. In this full program, you’ll have the time and space to dive deep into letting go of what no longer serves you so that you can connect with your best self, establish high-level happiness habits and make your dreams happen. (In this program you meet weekly with Trish for a period of three months. For your convenience, you can pay for the program in full or in three payments). It’s an amazing experience to get to work with someone like Trish who is living her passion. Trish was born to be a coach! 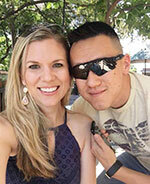 She motivates and inspires me, and really helped me to find the laser-sharp focus I needed to achieve my goals. Warm, dynamic, smart, and genuinely interested in seeing me at my best – Trish is an exceptional coach and human being. Hiring her was one of the best decisions I ever made! Speaking with Trish always lights the fire within me to believe that the reach of my business impact can truly be limitless. Just by taking action on one idea discussed during our chats I was able to create a whole new, high-yielding revenue stream for my business that I would not have otherwise created. Any business or entrepreneur who works with Trish will be infused with confidence and enthusiasm that will make they previously perceived as impossible, possible. If you want to stop overthinking your business strategy and to start taking more confident action, work with Trish. Trish Blackwell is AMAZING! I first started listening to her podcast in 2013. I felt liked we “clicked” immediately. Her honesty, her life experience and her ability to communicate her transcendence through adversity are SO inspiring! I knew I needed to work with her. 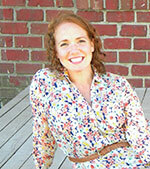 Trish’s upbeat energy and positive outlook are infectious. Every time we have a coaching session, even if I’m feeling out of sorts, I feel empowered and excited about life after our meeting! Trish has helped me through several humongous life events and changes and I couldn’t have come out on the other side without her guidance. Trish is such a blessing and anyone who has the privilege of working with her will reap the benefits of her wisdom, love and care. Taking a leap to invest in myself through Trish’s coaching program has been one of the best things I’ve ever done. I was at a point where I hardly recognized myself anymore and was continuously wallowing in self doubt, negativity, and an overall lack of self confidence. From the very 1st session Trish was focused on getting to the core of these issues and talking through them, asking lots of probing and meaningful questions, as well as assigning “homework” to discuss for next time we meet. Trish truly cares about myself and others, and I’m so fortunate to have found her as a coach and role model because if not for her, I would certainly not have the positive and confident mindset that I have today! 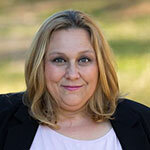 Trish is an amazing, supportive coach that will guide you to meeting your goals with enthusiasm and love. You can tell from the first interaction with her that she is passionate about what she does and loves helping people reach their full potential. She changed my life so much and I’m forever grateful to her! Over the course of the past year and a half I have had the wonderful opportunity to have Trish as my confidence coach. I have struggled with low self confidence, anxiety, and depression in the past. In working with Trish, I have found the tools I need to help my focus shift from negative thinking to positive thinking. She has encouraged me and helped me in my search for what my true passions are in life, and has helped me establish goals in order to take steps to pursue my passions. I have gained self confidence and found strength to keep going in the tough days through her help. She serves as my “sounding board”. I am thankful to call her mentor and friend. She is a true blessing in my life and I look forward to continuing my work with her! 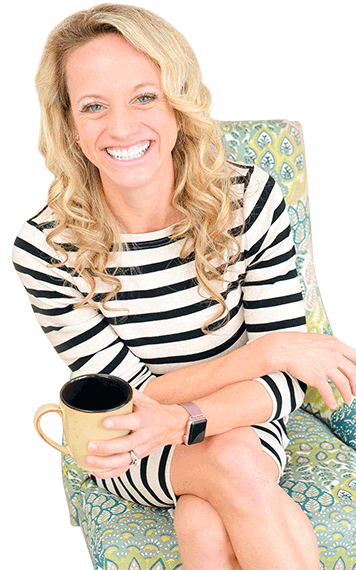 Trish helped me create a mindset of strength and courage in my business; I have always been insecure and afraid to take chances, but Trish helped me break through any barrier that came my way. She helped me with sales conversations by helping me focus on just helping each person, not on the income I needed. 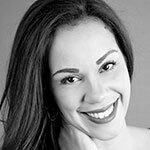 She helped me take my limiting beliefs and flip them to an abundance mindset. Trish has helped me be patient with myself and my business after cancer and baby; she taught me to be the kind of person who doesn’t need to transform to the status quo…but to make my own status quo. Trish paved the way for where I wanted to go in fitness, social media growth for my business, and completion of my first book. She held me accountable to weekly objectives and encouraged me to run a half marathon when I felt a bit challenged in my preparation. She also mentored me on what to do for my website and book. She is so worth the investment to get things done. I finished a half marathon, a 10k, the draft of my first book, and got my website working. I appreciate her loving, open, direct style. Trish is worth her weight in gold. She has helped me to get clear on what it is that I want to accomplish, what steps I need to take to get there, and she holds me accountable! I’m always so energized and inspired after our coaching sessions. My business has begun to move forward in such a positive direction since I started working with Trish. I am so glad I found Trish Blackwell. Trish showed up in my life when I needed her, at the start of my life coaching career and during a huge life transition. Trish is a pioneer in Confidence Coaching. I’ve had instances of deep self-belief in my private sessions with Trish. I feel like I believe in myself now more than ever. I have come this far in my life to connect with someone who resonates with me, someone who speaks to my spirit and helps guide me to a life of self confidence and success.If you have reached Trish or found her at this point in your life, this is a blessing. You were meant to connect with this amazing life and confidence coach! Trish has been a vital part of my personal life and purpose driven career for years. First​ by consistently listening to Confidence On The Go podcast; my self-awareness really opened and allowed me to break out of my comfort zone. During Trish’s one-on-one coaching, I receive a lingering inspiration that fires up my faith in self and the needed action. 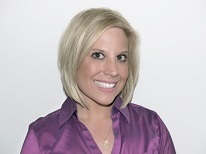 Trish Blackwell and her services are vital to anyone who wants a life with purpose and drive! THANK YOU Trish! 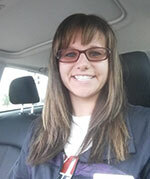 Trish Blackwell gave me the confidence to do what I had always dreamed of. Since working with Trish I became a certified personal trainer, launched my own business, Soul Travel Fitness, and currently completing my Health Coach Certification. If you are a feeling stuck and don’t know where to begin let Trish walk with you. Her energy is contagious and your life will be forever changed. Trish has been an invaluable support to me over the past year; I always looked forward to our calls and I know for sure that I wouldn’t be where I am today without having worked with Trish. I am forever grateful for the opportunity to have had this coaching relationship and I would recommend working with Trish to anyone building a business from scratch. Trish will forever in my heart as the inspiration and mentor that got me started, and that means the world to me. Trish was incredibly helpful as a business coach to my wife and I as we began growing our studio last year. She was very professional, listened carefully to our desired outcomes, helped us build an actionable plan to pursue our dreams, and helped keep us accountable to our listed goals. 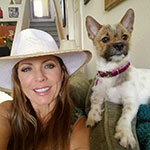 We saw great success in our business revenue growth while working with Trish! While working with Trish Blackwell as a coach I have gained the confidence to start my own business. She has also inspired me to stay focused and positive even in difficult situations. Hiring Trish as a coach has been game changer for me. I would highly recommend her coaching if you want to be more! Trish was a wonderfully helpful, kind and proactively responsive ear to unload on when I was unsure of my own confidence, and she guided me towards the direction of clarification and understanding of how to take charge of things again. As a life coach I feel like it is very important to feed your brain with positivity and motivation! 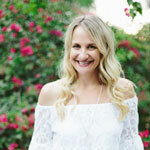 Trish is amazing when it comes to feeding your soul and brain, not to mention that she is a great coach! I hired her to be my personal coach and I must say she is great at what she does because it is her passion and you can tell she is genuine and works with her heart. Fill out the form below to get started or to inquire for more information. Please note – Trish typically has a waiting list, so the sooner you submit your request for coaching, the better – she will do her best to work with you as soon as her schedule allows. Describe what area of your life you would like to see your confidence change? Describe why you want to see change happen and why now? What are your top three personal goals right now? How long have you thought about these goals? How do you feel in the skin you’re in? Why does confidence matter to you? What is the greatest outcome that you would like to see from your coaching? What are your current obstacles or challenges? What is your long-term vision for yourself or your life? Anything else you would like to share with Trish as she considers you for this coaching program? What if I commit to a program and after doing one session with Trish I decide that she’s not the right fit for me? First off, no hard feelings ever! Trish wants you to succeed, no matter what – your success and your happiness matter to her, whether you work with her or with someone else. If, after the first session with Trish it doesn’t feel “right” for you, just contact her and the rest of your coaching program with her will be cancelled. Is this in place of therapy? No, Confidence Coaching is not therapy, but many coaching clients do also work with a therapist at the same time as working with Trish. Is what I share with Trish during my coaching sessions confidential? Just fill out the above inquiry form or email Trish directly at trish(@)trishblackwell.com. 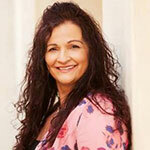 You will hear back personally from Trish and she will want to know your goals and your biggest challenges. Then, if there is not a current waiting list, you will simply fill out a few liability forms, schedule your sessions and then get started! Do I need to live in the United States to work with Trish? No, not at all. Trish works with people all around the world. As long as you have access to a phone or to the internet, you and Trish will be able to connect. I understand that Trish is a Christian. Do I have to be a Christian to coach with Trish? Does she ever coach without faith being included? You can be of any faith and any belief system to work with Trish. If you are also a Christian, or want faith-based coaching to be included in your work with Trish, then just let Trish know and your coaching strategy and support will include Biblical truth and perspective. If you would prefer not to have any faith included, also let Trish know and that will be respected.